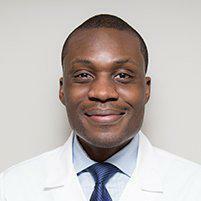 As a leading cardiologist in Manhattan, NY, Dr. Dele-Michael collaborates with and refers patients to expert cardiac surgeons who use the safest, most advanced techniques so patients with heart disease and arterial blockage can feel confident in their care and their recovery. 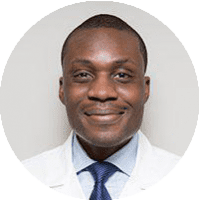 Bypass surgery is a procedure that's performed to treat blockages in the arteries, the blood vessels that carry blood from the heart to the rest of the body, or from the lungs to the heart (the coronary arteries). Blood contains lipids, or fats, that can build up and collect along the walls of the arteries in a condition called atherosclerosis (“hardening” of the arteries). When this develops, the arteries become narrow, and blood flow is slowed or even completely blocked. In heart bypass surgery procedures, the area of the artery that's blocked is “bypassed” using a piece of an artery from somewhere else in the body, so circulation is restored. When is a bypass procedure performed? When arteries become narrowed from a buildup of waxy plaque, sometimes they can be reopened using a procedure called angioplasty. But sometimes, angioplasty is not enough to treat severe blockages. In those cases, bypass surgery is performed to provide a new path for blood flow. Bypass surgery typically requires an incision in the center of the chest so the doctor can access the area around the heart. It also includes an incision elsewhere, usually the leg, to remove a section of the vessel to serve as the bypass graft. Once the graft is prepared, it's attached to the aorta and the coronary artery below the blockage. During surgery, a heart-lung bypass machine keeps the blood circulating. There are also some procedures that use small incisions can keep the heart pumping, but they can't be used on all patients. How long will it be before I feel “normal” again? After you leave the hospital, you'll slowly increase physical activity during the next several weeks to enable your heart to adjust. Most patients are fully functional in about two months, although some may take a little longer.